Polycom RealPresence Centro is the conference room system designed for work groups, classrooms and teams that want more engaged collaboration. RealPresence Centro embraces natural human instincts and advanced collaborative technologies to draw people together into a powerful, collaborative space, giving everyone equality of contribution regardless of where they are remote. 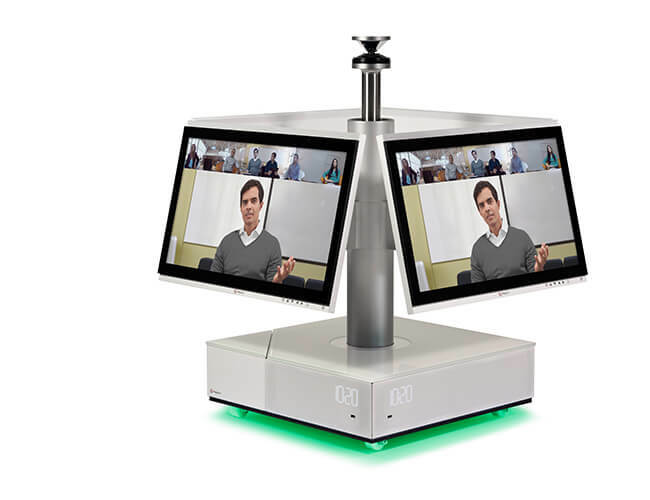 RealPresence Centro serves as a video conferencing and content sharing hub that enables collaboration in the workplace. Our innovative approach to the conference room layout allows everyone to easily see and be seen no matter where they are. RealPresence Centro leverages Polycom’s legendary audio quality in a single form factor. RealPresence Centro gives equal access to everyone near and far to share, annotate, and save content. Share content up to 1080p resolution at 60 frames per second - video clips, CAD animations, medical diagrams, etc. The optional Polycom Pano allows users in the room to easily connect their own devices to share content using Airplay or Miracast. Use the Pano App to wirelessly share content from a PC or MAC. RealPresence Centro’s thoughtful design adds a level of convenience that will keep users coming back to engage over and over – improving ROI. RealPresence Centro supports open, standards-based interoperability, giving you the freedom to connect to anyone, anywhere. We’re compatible with both current communication technology investments and with new and emerging systems to deliver the best investment protection and collaboration in the workplace.